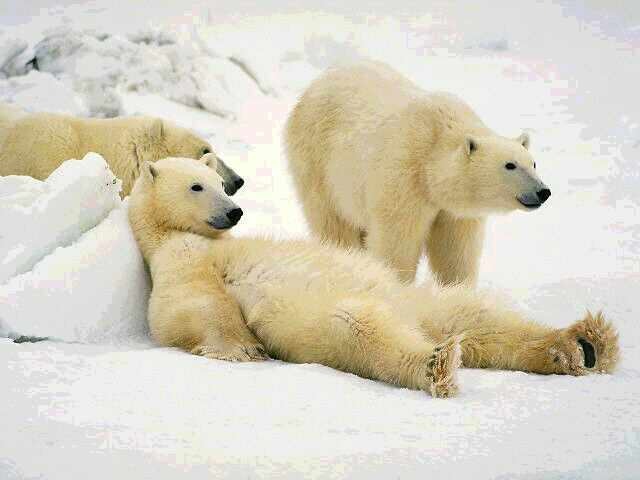 Polar Bears travel across the snow and ice in search for food. Sometimes they swim have to swim out to sea to find food. Over-hunting and the melting of the ice caps are threats to these sea mammals. 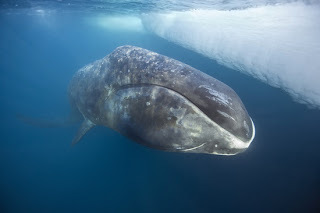 The bowhead whale is an exclusive whale species that only inhabits arctic waters. It's population was almost decimated by whalers. It is estimated that only 450 whales endure today.